Orders, payments, bookings, everything relies on an Internet connection. While it facilitates business operations under normal circumstances, it can disorganized even paralysed a company when an Internet outage occurs. After a deliberate act of vandalism on the Proximus network, this is the painful lesson business owners from Hainaut, Namur and Brabant Provinces learned on 17-18th November. Although it was a case of force majeure, it points out a thorny issue : how to ensure your business continuity in case of an Internet outage? To face this challenge, MIXvoip has developed its own solution for small and medium businesses. 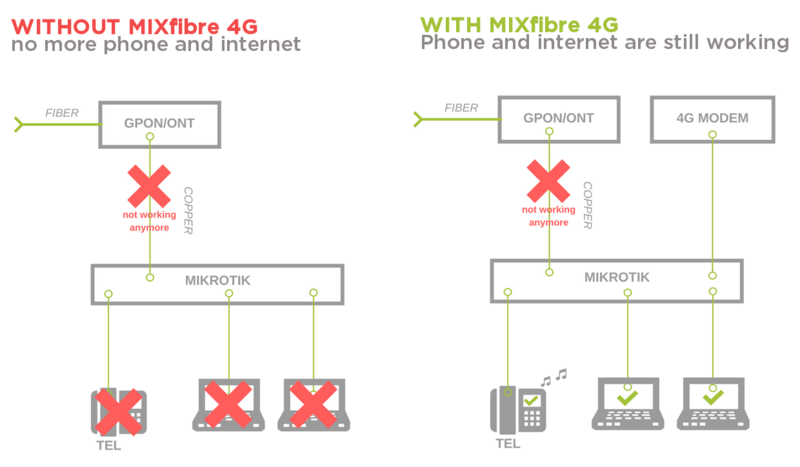 If your main Internet line goes down, the MIXfibre 4G solution will take over using the 3G/4G mobile network, while keeping the same IP address. Moreover the failover is automatically and instantaneously done. 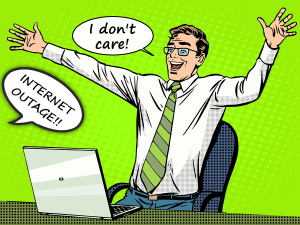 In case the Internet failure occurs during a phone call, the conversation is not interrupted, you can still send emails, place orders or browse the web until your main Internet line is repaired. There is no more reason to let an Internet outage refraining you from working. MIXvoip, regulated Telecom provider, develops, sells and installs complete solutions of business telephony (Cloud PBX, SIP Trunk, Fix/mobile convergence), videoconferencing and business internet for small and medium companies. Agility and flexibility are core components of MIXvoip’s strategy, where development and support are performed in-house by a multilingual team of engineers and technicians. Thanks to an advanced technology, quality of service and attractive offer, the company is well established on the Luxembourgish market, experiencing a constant growth since its foundation in 2008.